Established in the year 1997 We VGS Enterprises are here with a perfect solution for industrial roofing at cost-effective prices. 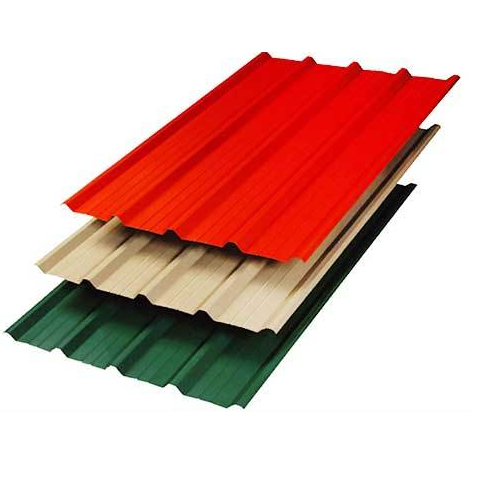 We are offering Roofing Sheets, Metal Decking, Polycarbonate Sheets, Turbo Ventilators and many more other items to cover your industrial area and provide them with protection. Quality Assurance Being an ISO 9001:2008 certified firm, we are committed to giving the best quality product to our clients. Manufacturing Facility We are facilitated with two different production units in order to keep our production rate high. Our Clientele Having two decades of experience, we have served several companies. We are facilitated with two different production units in order to keep our production rate high. These units are furnished with all necessary machines & equipment for enhancing the production in term of quality & quantity. We have segmented these units for several processes such as designing, R&D, manufacturing, & quality checking. A team of deft professional handle each process with utmost responsibility. Moreover, we have a separate warehouse spread over 1300 Sq. meter area that has the capacity to store 1500 metric ton of products which help us to create a proper inventory system by providing storage for raw material & finished product.